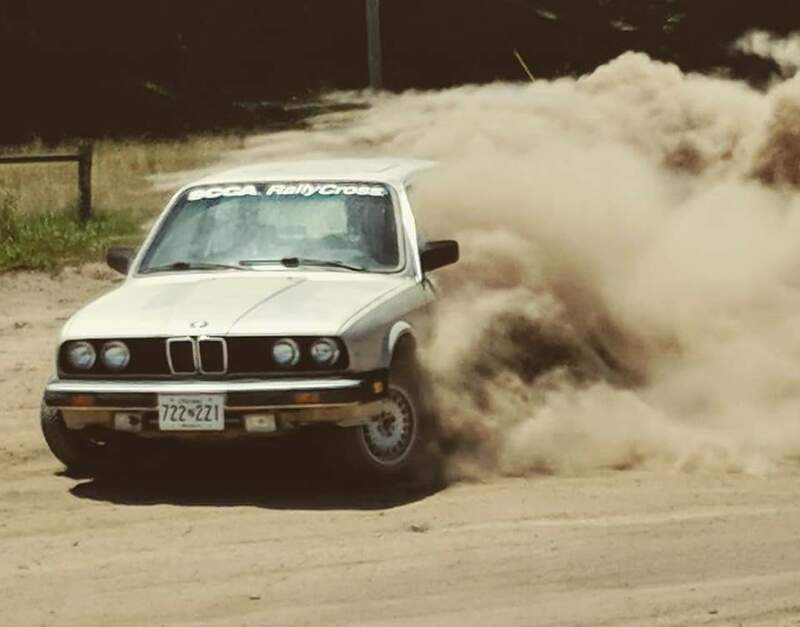 Just picked up this 1982 931 as a Rallycross build. So far looks like a very solid chassis that is cosmetically challenged. It currently doesnt run but the engine will turn over, probably needs a clutch master and slave, and most likely rubber brake lines and possibly a master. Interior is bad but will be getting trashed. Everything looks like it was there, hasnt run in 5-10 years last owner said it had some fuel delivery problems. The goal right now is to get it running and idling then get it into proper mechanical condition, dont care much about cosmetics as it will be getting properly used off road anyway. The second I have it running its getting a timing belt, just want to confirm it runs before doing the work. 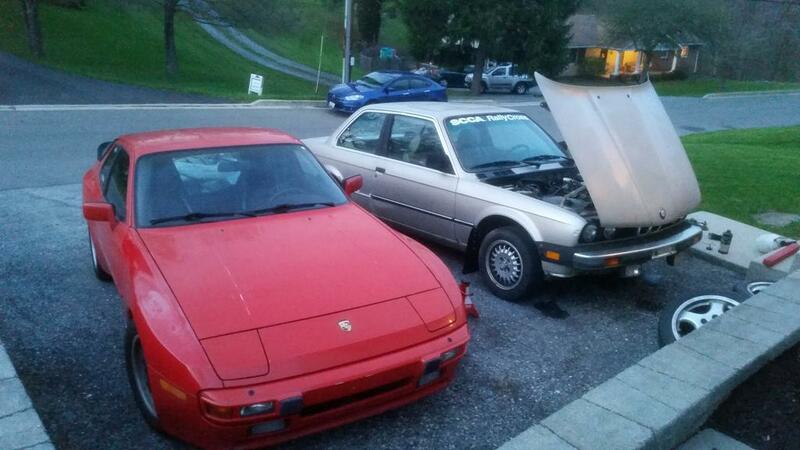 I currently have a 1986 944 so I have some knowledge of the chassis and early offset suspension but almost everything is different in one way or another. The second I have it running its getting a timing belt, just want to confirm it runs before doing the work. Don't even crank it anymore before you put a new timing belt on it. This is NOT like a 944 engine where the timing belt and work are very complex/expensive but will still destroy your engine. The timing belt for this car is like $10-$20 and the tensioner is like $7.50, and it only takes like 20 minutes with no specialty tools. Super easy. Gorilla can do it. 1st do the timing belt then start at the back of the fuel system unless you have already checked the fuel quality somewhere, where? Drain the tank/pull the intank fuel pump - super easy. 12v to that pump and see if it works. Yes=good No=replace with another pump or 944 screen setup. Inline fuel pump 12v, does it work? If no replace. 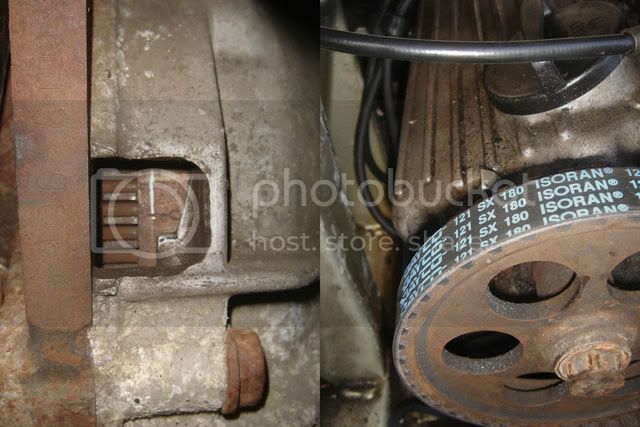 Take the fuel supply line off of the fuel distributor at the banjo bolt and put in something. Jump the fuel pump power 30-87 on fuel pump relay. Clean? Hope so.. Put it back together and jump the pump again. Do an injector flow test as outlined in the haynes manual or search. If everything is good up to this point try to start it but if you run it hard (boost) without doing a proper CIS pressure test you might blow it up. Buy/build a CIS fuel pressure tester, easy, google search "site:924board.org cis pressure test" ""site:924board.org how to operate hoffman" or follow instructions in haynes. Get through that and you can run it hard. Ofcourse change the oil, check coolant, etc. Thank you will be doing timing belt first. Haven't turned it over with the starter yet. Where are the top dead center marks on this car? TDC mark is viewed through a window in the bell housing, its to the left of the brake booster. I now have plugs, wires, cap, rotor, air filter, fuel filter, oil filter, timing belt, and tensioner on the way.